I was wondering if anyone from A&A or who has A&A FTTC could help me with a few questions before I order? On the "Services" page it says all our broadband services include a free router, however on the FTTC page under "Modem" it seems to be worded like you have to supply your own. Do I need to buy one separately? The services page also says all lines include CQM, but the CQM information page seems to be implying you need a FireBrick router? Our exchange has an FTTC RFS date of 1st September, but BT tells us fibre is available now, would the 1st September be the date you could install if I were to submit an order today? 2. CQM - The Firebrick that generates the CQM is a massive bit of very powerful kit and should not be confused with the little 105 Firebrick that you could buy. The CQM is generated by AA from their Firebrick and made available to all users regardless of what kit they have, so dont worry about that. 3. If it's showing on the ordering system as available then AA will most likely be able to order now. Completely missed the IRC channel, will ask in there about the router etc. 1. 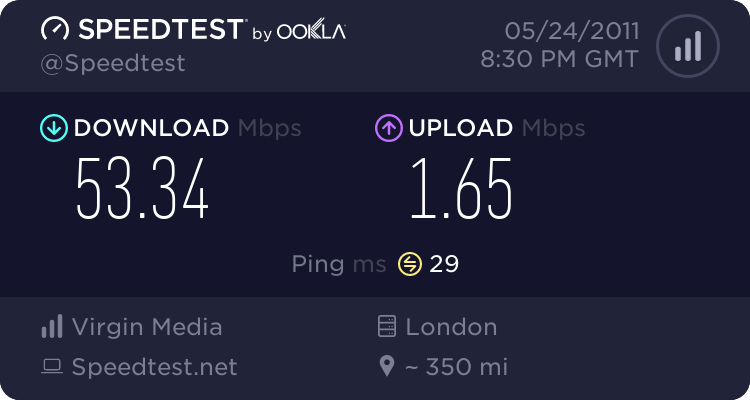 You get the same VDSL modem that all BT FTTC users get, but you need something to connect that to the rest of your network. Anything that talks PPPoE will do. I have my little Linux-based server which is up 24/7 anyway connect directly to the modem, though before I set that up I connected using one of these devices (which I was already using as a wireless AP) which is cheap but fairly fully featured unless you have specific technical needs (I don't know how well it handles IPv6, if at all, and while it happily supports multiple incoming IP addresses I couldn't convince it to properly make things look like they were coming from anything other than the main address). Anything that calls itself a "cable router" should be fine, but double check anything you think of buying talks PPPoE and find reviews to make sure it can keep up (apparently some older cheap models apparently can't process packets fast enough (firewall rule checks, NAT/PAT translations, ...) to manage the full 40Mbit/s). 2. You don't need a specific router for this. Their equipment talks to the BT/OR provided VDSL modem for this monitoring, not any kit you have sat behind that modem. 3. The September date might be when the work is due to be complete - perhaps not all cabinets linked to that exchange have been upgraded yet but the one serving your property is one that has (or they could just have finished work in the area ahead of schedule and not updated that date in the plan). By my understanding, if your line comes up as having FTTC available when you search using http://dslchecker.bt.com/adsl/adslchecker.welcome then you should be able to order it today. I ordered the install on 12th August with an install date of 30th August, but they brought the install forward to the 19th, very impressed. Guess the RFS date doesn't mean much eh?